Hey, ladies, let's talk about haircare, shall we? How many times a week do you wash your hair? Are you a "noo-poo" kind of girl? Do you condition your hair before you wash with shampoo? There are soo many haircare tips, tricks, and hacks out there, but I'm a simple girl, and I don't fuss too much about my haircare routine. My hair grows at a healthy rate of 0.5 inches per month. I switched to using a Sulfate-Free Shampoo about 2-3 years ago. Before I switched, I had no idea the sulfates in the shampoo were causing havoc to my hair. 1. Your hair is cleaner without the striped, dry feel. 2. Your hair retains moisture. 3. Your hair retains its natural oil. I wash my hair once a week. Once a month I will do an overnight oil treatment with virgin coconut oil. Coconut oil is fantastic for hair; it has lots of great benefits. I take three tablespoons of virgin coconut oil; I warm it up till it turns liquid. I part my hair into four sections and apply a moderate amount of coconut oil to each section of my hair. I twist each coated part and cover my hair with a shower cap and use a satin headscarf to tie my hair to keep the shower cap in place since I will be sleeping in the shower cap. The heat from my scalp helps the oil penetrate deeper into the hair shaft. 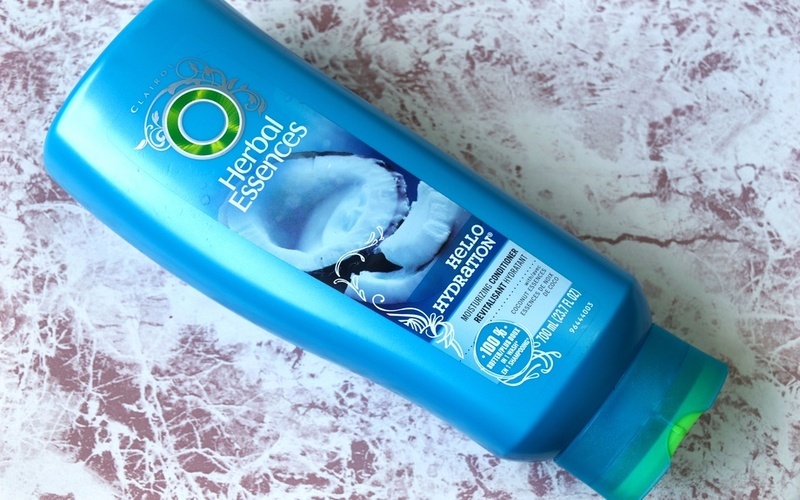 In the morning, I wash my hair with Loreal Sulfate Free Shampoo and condition with my Herbal Essences Hello Hydration Conditioner (My absolute favorite conditioner). Shampoo: Loreal have stepped up their haircare game. They have a product line of sulfate-free shampoos. I use their EverCurl Hydracharge Shampoo. 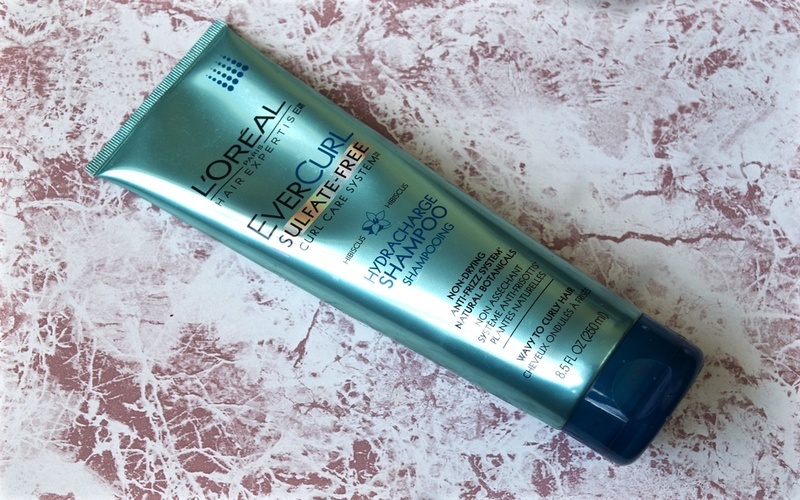 It has been said that sulfate-free shampoo doesn't lather up; well, let me tell you that this Loreal sulfate-free shampoo lathers up a lot, so a little goes a long way. EverCurl Hydracharge quenches my tight curls and nourishes my hair from the inside out. My hair is soft after I wash it, I don't experience dryness or frizz. 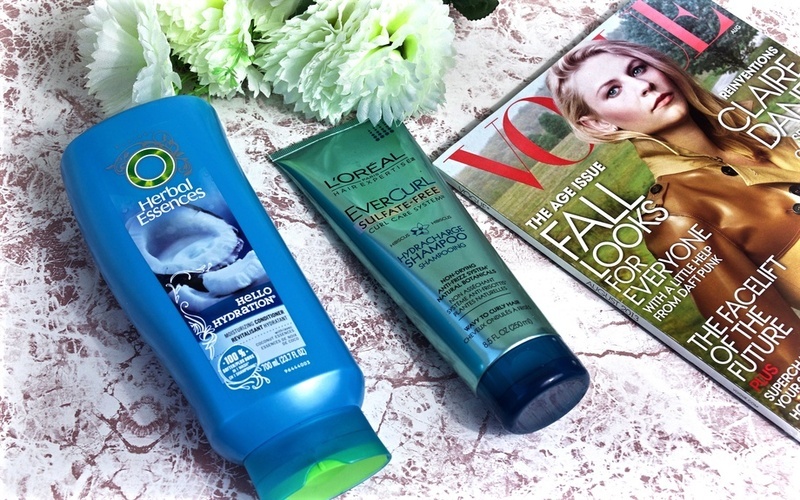 Conditioner: I might be biased, but the best hair conditioner in the world is Herbal Essences Hello Hydration. I love this conditioner because it keeps my hair moisturized. My hair is soo soft and manageable after I use this conditioner, the texture of my hair is defined as well. My hair routine is very simple. I don't like to use too many products in my hair. Too many hair products just leave your hair weighed down, and lots of residue coats your hair shaft which in turn prevents hair products from penetrating and working for your hair. For styling, I use my Neutrogena Triple Repair leave-in conditioner and my OGX Morrocan Argan Oil and OGX Coconut milk anti-breakage serum. What is your hair care routine? Subscribe for more product reviews.